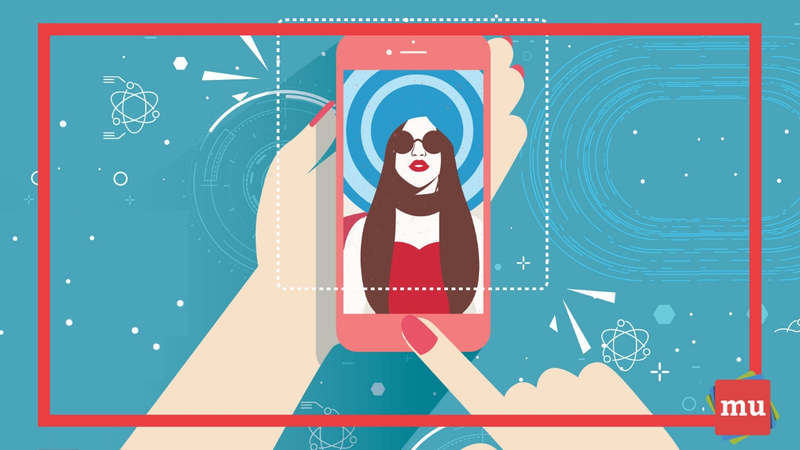 Influencer marketing is set to be one of the biggest advertising trends of the year. If you’re considering including it in your marketing strategy, or if you just want to know what it’s all about, then read on! media update’s Aisling McCarthy explains everything you need to know about influencer marketing – from the reasons it’s such an important 2019 trend to how to make it work for your brand. First things first, what is influencer marketing? Influencer marketing involves a partnership between a brand and a social media user with a large following (aka an influencer). The brand leverages the influencer's audience to make sales. And the influencer receives free or discounted products from the brand, or they can be paid directly by the brand. Advice from media update: Influencer marketing isn’t the same as using celebrity endorsements. Influencer marketing does more than simply attach a well-known figure to a brand – a social media influencer needs to be a trusted figure within a niche market and retain a loyal following that they constantly engage with. Why is influencer marketing such an important concept? In a time before the Internet (what seems like a lifetime ago) broadcast and print media were pretty much the only choices for content that consumers had. Now, thanks to digital media and the popularity of social media platforms, consumers have unlimited choices when it comes to the content that they want to see. And that creates a problem for brands. Why? Because a brand’s target audience is no longer found in a single place, but rather, spread out across various forms of media. And that makes it increasingly difficult to reach them. 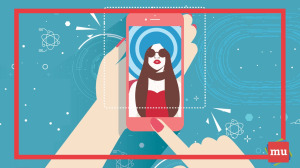 As a result, brands have discovered a viable solution to this problem: influencers. Influencers offer brands a way to advertise directly to their target audience, regardless of the platforms that the target audience uses. Consumers are also becoming increasingly aware – and skeptical – of brands and their marketing tactics, so building trust with consumers is vital to making sales. Using influencer marketing allows brands to promote their content through someone that a niche community engages with and trusts. So, instead of being skeptical of a commercial or social media ad, consumers are trusting that if their influencer of choice loves the product, they will too. What kind of influencers are out there? While you can find an influencer on pretty much any topic out there, one thing all influencers have in common is a trusting relationship with their audience and the ability to create great content for whichever platform they use. Influencers tend to use social media platforms such as Instagram and YouTube, or their own, personal blog sites. The content they produce can range from written content to photographs and video – or a combination of them. Nano-influencers: A new breed of influencer with only a few thousand followers on a particular social media channel, but within a well-defined sector. Micro-influencers: People with under 100 000 followers on a particular social media channel who produce content and have a focussed passion, topic or niche market. Generally, these are ‘normal’ people who have some kind of established authority. Macro-influencers: People with over 250 000 followers on a particular social media channel who produce content. Generally, these are celebrities or well-known personalities. The most common types of people who become influencers are adventurists, photographers, how-to experts, beauticians, artists, models and comedians – but there is no limit to who can be an influencer. Influencers generally operate independently, creating their own content and then integrating a brand’s specifications into it. For the most part, the influencer is in control of how the brand’s message is portrayed to their audience – which is why it is so important to choose an influencer with exceptional content creation skills. By allowing the influencer to decide on how to portray the brand’s message, the content they produce is more authentic and is seen as more relatable. Now there’s a tough question to answer! Influencers with a larger following and and the use of multiple platforms will cost more than a nano-influencer, who is only active on a single platform. Work out what you require from an influencer as well as what your budget restrictions are, and decide if a nano, micro or macro influencer will work best for your brand. Unlike most marketing strategies, influencer marketing requires an extremely high level of trust (and communication) between a brand and a third party. While influencers are generally required to sign legal contracts, the care and reputation of the brand is essentially in their hands. And one wrong move could mean disaster! A brand needs to ensure that their chosen influencer’s content (as well as their beliefs and opinions) aligns with the brand’s image. It’s also for brands to be aware of influencers with fake followers, where influencers have purchased followers,making them appear to have a much larger fan base than they actually do. So, how do you make influencer marketing work for your brand? Influencer marketing is done best when the influencer chosen to represent a brand has in-depth knowledge of the industry the brand operates in, and is able to produce interesting content that audiences want to engage with. For example, a popular fitness blogger with extensive knowledge of workout regimes and proper nutrition may be asked to be an influencer for a sportswear or supplement company. This pairing would be appropriate because the influencer’s audience would be one that the brand would be trying to reach out to. Sometimes, brands choose influencers that are not quite the right fit for their brand because the influencer does not necessarily have experience relevant to the product being advertised. For example, if a make-up brand decided to employ the aforementioned fitness blogger as an influencer, it may not be the most successful pairing. Why? Because the fitness blogger’s audience wants to see content about fitness and nutrition, and not necessarily about beauty products. In this case, the brand being advertised and the influencer’s audience’s wants do not align. Pairings like this can have negative effects for both the brand and the influencer. The brand wouldn’t see much of an increase in sales or product awareness, which would mean a loss of revenue. The influencer could lose the hard-earned trust and loyalty of their audience by punting a product that the audience isn’t interested in. Are you using influencers as part of your marketing strategy? Tell us about your experience in the comments section below. Influencer marketing is undoubtedly one of the hottest marketing trends of the year. Get to grips with it by checking out these Five trends shaping influencer marketing in 2019.